Delicious coffee at the super cute Bluebird Coffee Shop, stopping in front of almost every single stoop in West Village since they're too pretty to just pass by, a very white Central Park and pretty jewellery pieces at the Lulu Frost presentation. A winter wonderland in the park, shooting with Nicole in front of colourful murals, having brunch at Lafayette (a new favourite in New York) and a cosy lunch at The Cleveland. An obligatory visit to Shake Schack, strolling the streets of SoHo, seeing the beautiful Bow Bridge under a blanket of snow and a snapshot from the day I took a walk in the snowstorm. 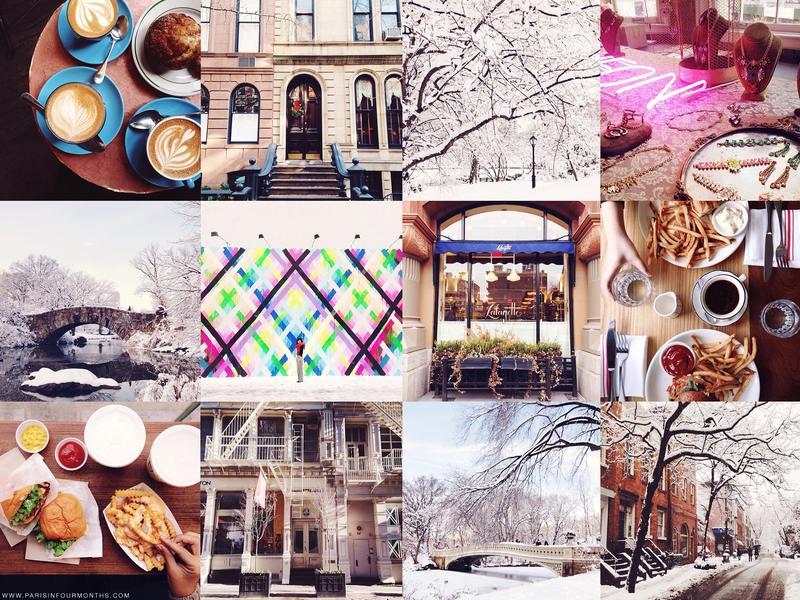 See more from New York by following along through Instagram!